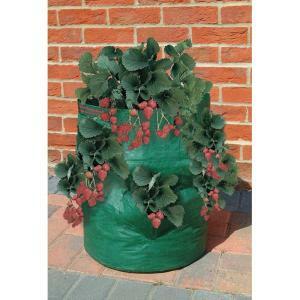 The Strawberry/Herb Planter Bag by Bosmere allows you to enjoy the taste of real home grown strawberries or fresh herbs without having garden space. Use this bag on your patio or deck. This bag has eight planting pockets as well as the open top planting area. Great for strawberries, a variety of herbs or even some colorful summer flowers.